Most medical practitioners will agree on how helpful mobile technology has become for both patients and doctors. The information that could previously be reached only through reading voluminous books is now available a few touches away. With dedicated medical application development, entire medical libraries, drug reference and a lot of other things can now be made available in single device which easily fits in our pocket or palm. Many doctors use medical apps on daily basis. They can easily cross check drug dosages or perform complex calculation of kidney function. They can even counsel a patent remotely. There may be a number of instances where mobile apps are useful. Apps make jobs of doctors less stressful, bring convenience in their practice and finally save lives of people. 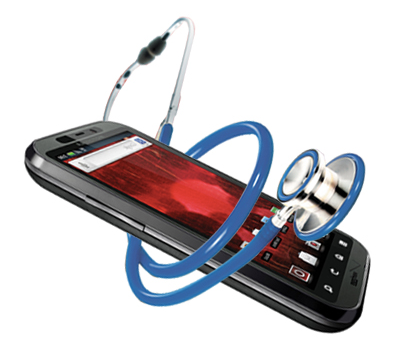 Medical application development industry is growing by leaps and bounds. 148apps.biz has recently estimated that more than 35K active medical apps are available on App Store. It’s 2% of 1.7 million apps on the App Store and excluded of 50k apps which are aimed at health and fitness purposes. It shows that market for medical application development is really growing. But for developers who do these apps, there are certainly some points they should keep in mind while building medical apps. See more at: How mobile application development helps healthcare industry? If you have a medical app out there on any store, it is supposed to be aesthetically appealing with having smooth, easy UI and glitch free navigation. Make it colorful and filled with fun. If you are building a medical app, add the most reliable library of reference. It will save people’s lives and thus it should be as reliable as possible. Collaborate your app at least with a credible medical institution. It will give the app with sense of legitimacy and people will believe on it without having a second thought. If the app is helping users caring health conditions, it should also educate doctors and patients. It should be built as a complete tool for the purpose. Apart from being a complete tool, it can also offer medical news and articles. See more at: Why do you need a mobile application development for real estate projects?